And down ten pounds. Hurrah. You will be glad to know its dr Sketchys tonite do something else to look at tomorrow. In the meantime. 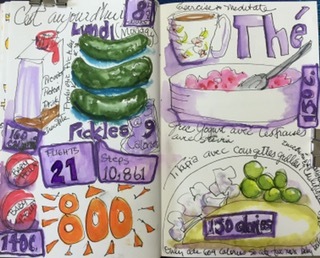 Another diet journal page. I used my winsor newton purple orange and cad yellow markers. The purple was strong so I wet it and blotted it off to lighten it. One thing I have been trying to do is think of different ways to draw each page so they are not the same. Same is boring. I really like the way the yellow looks with the purple. The white background is kinda boring. What do you think? 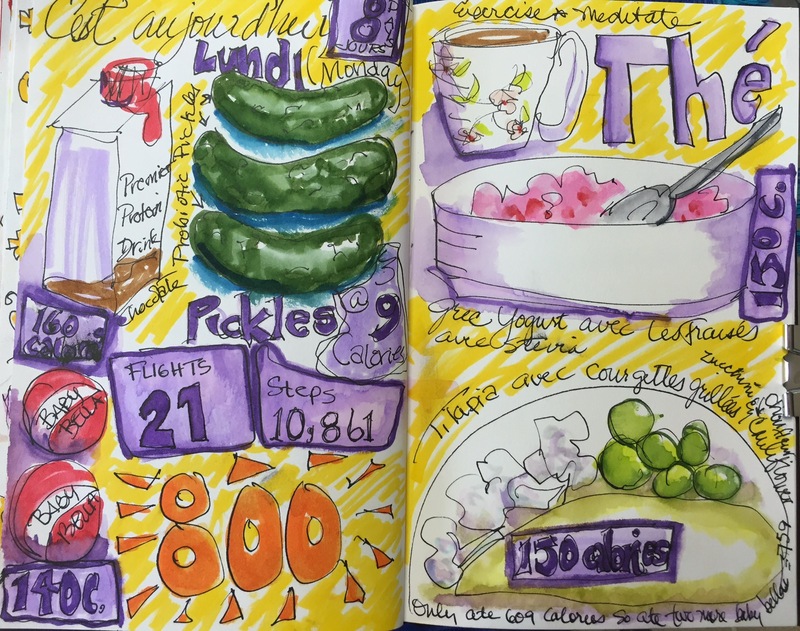 Great idea to do a sketch diet – I must try! It would be a challenge since I tend to eat the same things especially when I am on a diet ….And lovely sketch, bright and happy!